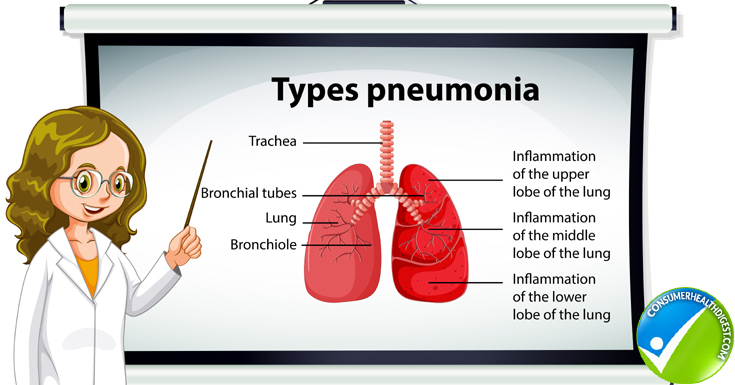 Pneumonia is a lower respiratory lung infection that can cause illness in people of all ages. Its symptoms may vary from mild to severe. Pneumonia is an infection of the lungs that can make a person very sick. It can even make it very difficult to breathe although most cases of pneumonia can be treated at home. It typically clears up within 3 weeks with the proper treatment. However, older adults, infants and people who have other disease can become very ill and may need hospitalization. It can be transmitted easily either due to bacteria or viruses. It starts when the germs are breathed into the lungs. A person is more likely to get pneumonia after having the common cold or flu which makes it a lot harder for the lungs to fight infection. The type of pneumonia depends on how the person got it. It can take many different forms which depend on the type of germ that caused the infection (bacteria, viruses, parasites or fungi). Community-Acquired Pneumonia: This is the most common type which is caught from public places. The most common is caused by bacteria specifically Streptococcus pneumonia. Hospital-Acquired Or Healthcare-Associated Pneumonia: This is caught from hospitals or other healthcare facilities. These places are usually colonized with resistant bacteria making it harder to treat. Aspiration Pneumonia: This is usually seen in older patients who have a compromised swallowing mechanism. They inhale acidic contents of the stomach causing inflammation of the lungs without bacterial infection. Opportunistic Pneumonia: It affects people with a weakened immune system. A person is more prone to this type of pneumonia if he/she has chronic lung disease, had an organ transplant or has HIV/AIDS. Pneumonia can be caused by bacteria, virus, fungi or mycoplasmas which are bacteria-like organisms. It can generally affect anyone but the age groups that have the highest risk are infants and children below 2 years of age and people older than 65. These age groups generally have weaker immune systems making them more likely to get infection of the lungs. Other risk factors include chronic diseases (asthma, COPD and heart disease), weakened immune system, smoking and being placed on a ventilator. Chest X-Ray: This will confirm the presence of pneumonia while also determining its extent and the specific location of the infection. Blood Tests: This will confirm the presence of infection and attempt to identify the organism that is causing it. Pulse Oximetry: This measures the level of oxygen in the blood since pneumonia prevents the lungs from moving a sufficient amount of oxygen into the bloodstream. Sputum Test: It will pinpoint the specific type of infection. For older patients or those who have serious symptoms, a pleural fluid culture and/or bronchoscopy may be done. A chest CT scan may also be needed if the pneumonia is not clearing as fast. Treating pneumonia primarily involves curing the infection and preventing complications. People with community-acquired pneumonia are usually treated at home with medication. 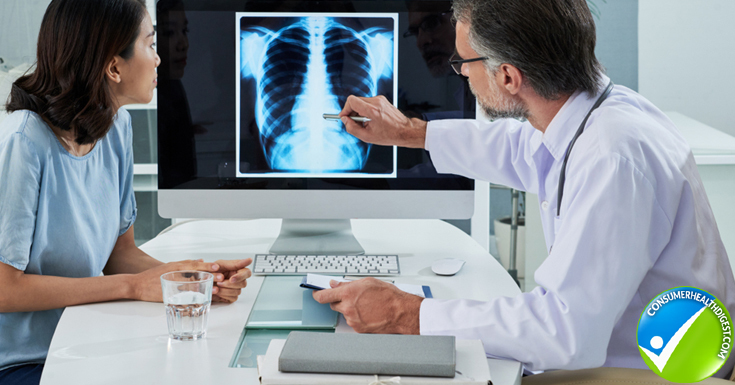 The specific treatment depends on the particular type and severity of pneumonia but the age and overall health of the patient is also taken into consideration. Antibiotics: This is for treating bacterial pneumonia. Antiviral Medication: It is used for viral pneumonia. Fever reducers can also be used like ibuprofen. Cough medication can also be used to calm the person and allow him/her to rest. Hospitalization may be needed for patients with severe pneumonia or those who are generally weak or unhealthy in order to prevent complication. Must Watch – What Is Pneumonia? Get plenty of rest and take it slow when you are starting to feel better. Stay at home until your temperature normalizes and you stop coughing up mucus since pneumonia can recur and you can transmit it to other people. Drink plenty of water to help loosen mucus. You can also sip warm water or tea which can help further in loosening mucus. Make sure to take the entire course of medication prescribed by your doctor which will prevent recurrence. Eat nutritious foods especially fruits and vegetables high in antioxidants, vitamins and minerals which can help strengthen your immune system.